I’ve been eating out a lot recently as a result of Hen Do’s and family Birthday Parties! This is lovely of course, but after a few weeks of over indulging in food and drink, I start needing and craving healthier food again. This Saturday night, Dave was out gigging, so tea was left to me. I wanted something healthy but also speedy quick so we could settle down to enjoy Saturday night television together – I’m lovingthe new series of Britain’s Got Talent! Pasta is my usual easy go-to home cooked fast food meal. When I found out that Heinz have a range of Gluten Free Pasta and Sauces I planned to buy these, along with fresh peppers and mushrooms to add to my dish. 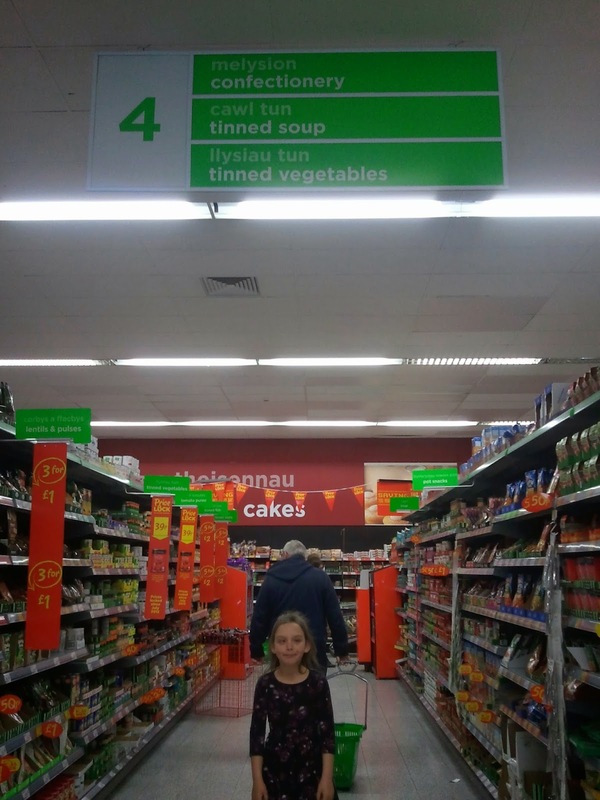 As we were planning to drive over the Cleddau Bridge anyway, we decided to pop to Asda in Pembroke Dock (it costs 75p each way to cross the bridge but there are lovely days out to be had in that direction so we always get our “bridge money’s worth”! 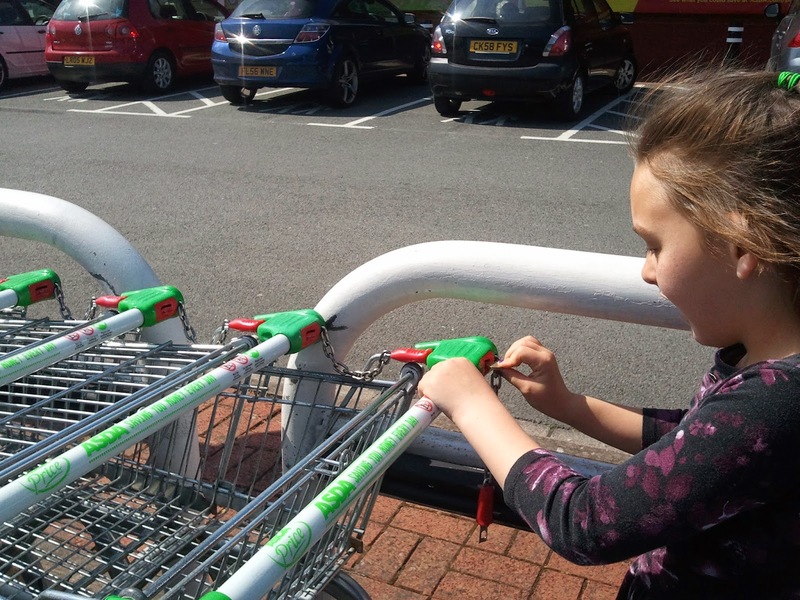 Rebecca got the parking ticket for me (this is reimbursed at the till) and released the trolley, then off we went shopping! I put all the fresh vegetables in the trolley that we would need for the meal I had in mind, then realised that this store didn’t have the Heinz Gluten Free Pasta in stock, so it was time for a change of plan! I didn’t want to retrace my steps and put items back so I kept the fresh ingredients and just added chicken (for Danny), Meat-Free Chicken (for us) and Heinz BBQ Sauce. I chose the Classic for myself and the girls and the Chilli version for Danny. I also popped Heinz Lemon and Black Pepper Salad Cream in the trolley to spice up my salad. I admit that I have eaten a lot more salad since this has been in my fridge! 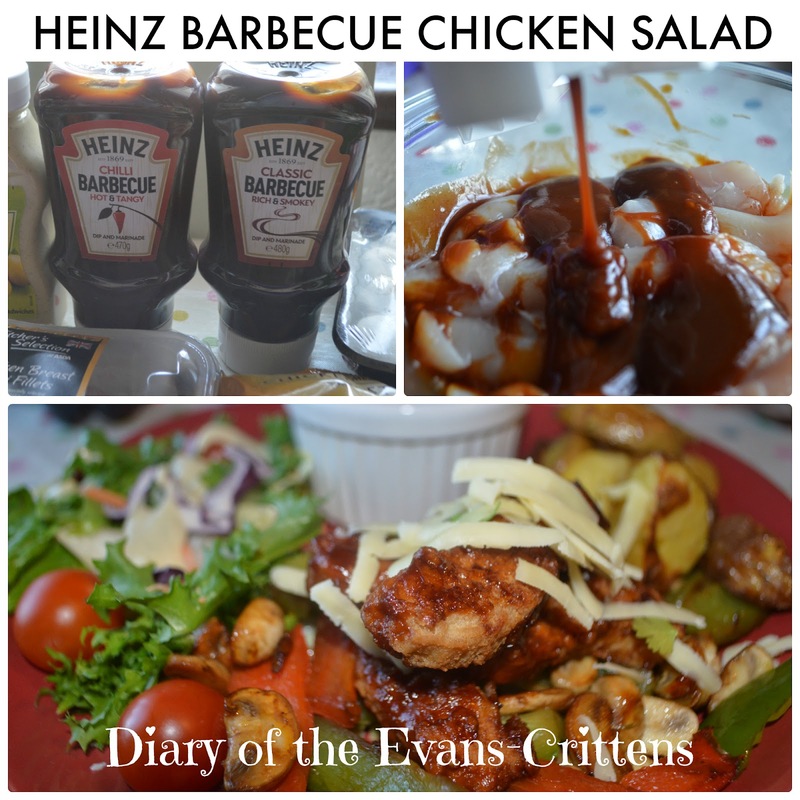 We also added some Welsh New Potatoes, as I fancied Home Made Wedges with Heinz Barbecue Sauce as a dip, and grated Colliers Mature Welsh Cheddar to enchance the BBQ Chicken and Meat-Free Chicken. As soon as we got home I marinaded the chicken and meat-free chicken. This was super easy as all I had to do was squeeze on the appropriate sauce and stir. I love how you can use Barbecue Sauces as a super easy and tasty marinade. I covered them and left them while I prepared the other food. You can leave this overnight to marinade but I was making fast food! As soon as all the food had been prepared and the table laid, then I placed my Chilli Barbecue Chicken Dish and Classic Barbecue Meat-Free Chicken Dish into the oven. Next I prepared the Homemade Potato Wedges, as I knew they would take the longest to cook. I like to use smaller potatoes for wedges as there is no need to peel, they take less time to bake and have more crunch. I pre-heated the oven to Gas Mark 6. I poured some olive oil in my baking tray, then seasoned with salt, pepper, garlic and rosemary. I placed this tray in the oven so it would have time to warm up before I added my potatoes- I don’t know why but I always find they cook better this way. I washed the potatoes and cut them into wedges by halving then quartering them. I waited five minutes for the oil currently in the pan in the oven to heat up, then I added them to the seasoned oil. I gave them a good stir and replaced the tray in the oven. They take about 25-30 minutes to cook depending on the size of them. I check on them after 10/15 minutes and gave them a good stir. I served them with Heinz Barbecue Dip. When dave is home we tend to have spicier Potato Wedges, but I love these simpler ones with a Barbecue Dip. This pan fried mushroom and pepper dish was a lovely vegetable base for my Barbecued Chicken. I heated the olive oil in the pan, then just added the chopped mushrooms and peppers. I kept stir frying and they were done. I like to add onion too, but the kids aren’t keen so it was left out for them on this occasion. As this was “fast food” I completely cheated and bought a bag of salad to which I just added cherry tomatoes and Heinz Salad Cream. Of course, it doesn’t take long to tear off a few lettuce leaves and chop some salad when your fridge is already full of salad goodness. This meal was a great hit with my family and all plates were emptied. 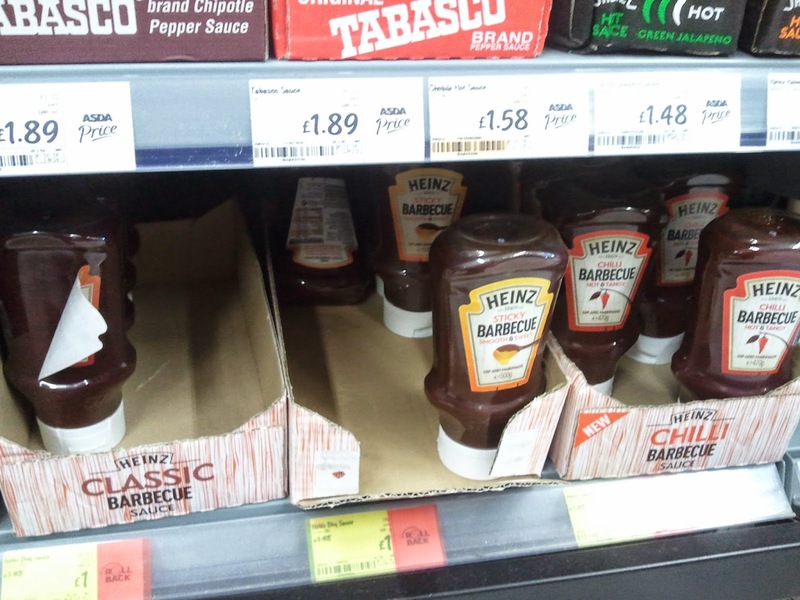 I will definitely be reaching for the Heinz Barbecue Sauce when I need a quick, healthy family meal again. I’m sure we will get a lot of use out of it this Summer as a quick easy marinade for our BBQ meats (and non-meats!) and kebabs too. I’m still planning to give the Gluten-Free Range a try as well! What’s your go-to healthy, family, fast food meal? I need to eat lots of super healthy meals this week to compensate for the over eating of Easter Eggs!